I just discovered the blog of a contributor to Beneath the Tangles named Dr. Steve. He wrote to me about his new blog, and I recall being very impressed with his article, “What Can a Succubus Teach us about Chastity?” (There’s an impressive eye-catching title!) He’s also written “Platitudes and Power in Juni Taisen: Zodiac War” and “Communion and the Food of the Gods in Restaurant to Another World” for Beneath the Tangles. TWWK encouraged him to make his own blog, and Curiously Dead Cat resulted from this advice. His favorite show is Gate, by the way. With such interesting posts behind him, I decided to check out his new blog. Curiously Dead Cat has only been around since November 29th, but it has a nice assortment of articles out by now. My eye was particularly drawn to his posts on Shirayuki Hime (I really need to watch that show) and Recovery of an MMO Junkie, which is my favorite show of the current season–what a shame that it only airs for ten episodes! I rather enjoyed Dr. Steve’s (who now uses the handle NegativePrimes) post on the opening song of the latter anime and how it displays the idea of the characters having their identities fragmented between real life and the internet world. At any rate, be sure to check out his blog. You’ll be glad that you did! I wrote a rather detailed post about some themes I discerned in the Read or Die manga. It’s now posted on Beneath the Tangles, and I hope to get back to posting twice a month on this wonderful site–the best anime blog for describing anime according to a Christian worldview. May you enjoy the post linked to below! Laws of the Flesh and the Spirit in R.O.D. Here’s the post announcing the end of my “Examining Old School Anime” column on Beneath the Tangles. It also talks about the next column I want to write, and I hope that my dear readers will enjoy it. Click below for the information about the new column! No new articles have found themselves on this blog since Independence Day, because I have been busy writing reviews for Beneath the Tangles. 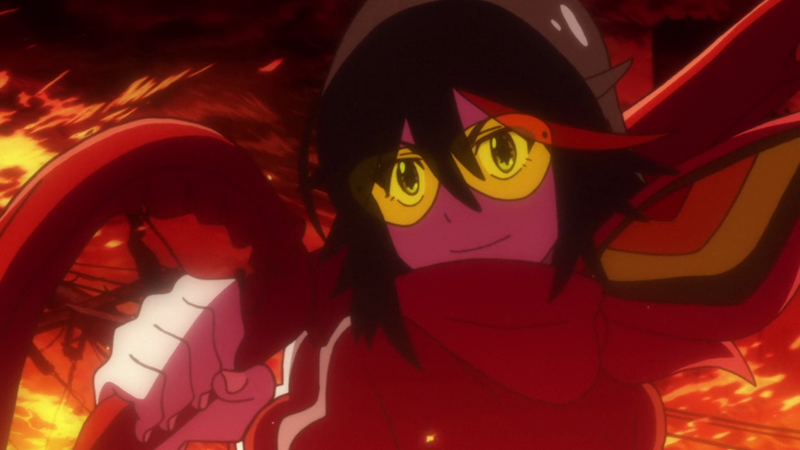 The following posts cover twenty-seven of the past season’s shows, five of which, Hundred, Twin Star Exorcists, Space Patrol Luluco, Usakame, and Ushio to Tora were reviewed by yours truly. The other shows which I’ve seen this season, Flying Witch, Mayoiga, Kiznaiver, Haifuri, and Bungo Stray Dogs shall be reviewed in another post soon. Please enjoy and comment on the following reviews! Here’s a link to my latest post on Beneath the Tangles. Enjoy! My latest post on Beneath the Tangles (the creator of which is unfortunately moving onto better things) was on the topic of scrupulosity, particularly scrupulosity in anime and other kinds of media. Scrupulosity is an affliction suffered usually by those striving for moral perfection, in which the conscience becomes so over-delicate that the sufferer is tempted to believe that lawful things are sinful. I myself have suffered from the affliction. That post was written in response to a letter from a reader on this topic. Of my response, the first paragraph is the most important and cogent, reflecting as it does the opinion of the Church Fathers and writers of the Counter-Reformation Era. In the following ones, I reflect particularly on why it is foolish to scruple overmuch on anime and other types of stories and the great good of the storytelling profession in general. At this point, I’d usually review the anime I’ve watched from this season and rate them from one to five stars. This sort of season review might still come about on Medieval Otaku, but I already have reviews up for every show except Seraph of the End. You’ll find these reviews scattered over three posts on Beneath the Tangles: Part One, Part Two, and Part Three. 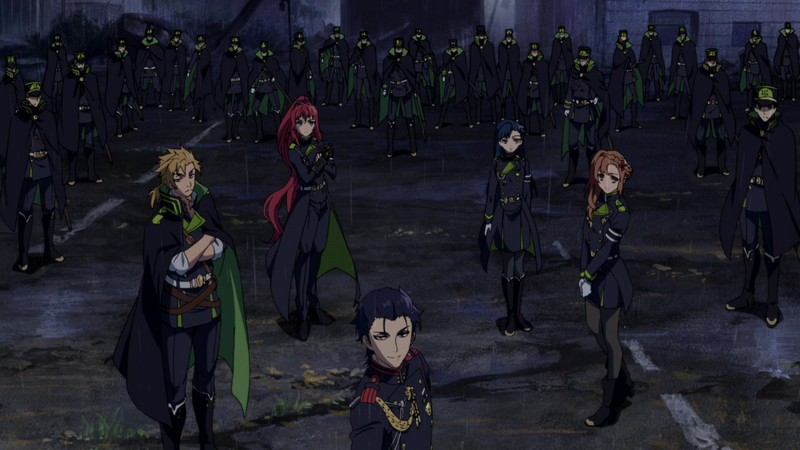 In the first part, Kaze gives Seraph of the End the same rating I’d give it. The second part features an amusing picture of Hestia with a caption added by yours truly. I found the picture particularly endearing because of it’s resemblance to the “Kilroy was here” image used by the Allies to mark their progress in WWII. Let me remind my dear readers, as I did last year, that we celebrate the 152nd anniversary of the Battle of Gettysburg from July 1st – July 3rd. Lord Drako Arakis created a beautifully drawn and tragic music video to commemorate last year’s anniversary, and I hope that he has one planned for this year. (His latest video is a ribald song not at all in the spirit of the battle, but click here if that doesn’t bother you and you want a good laugh.) 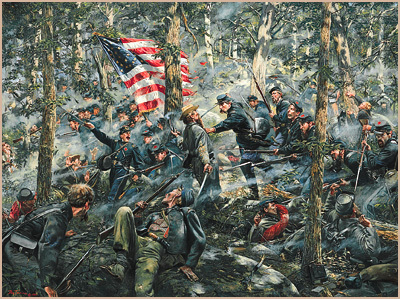 At any rate, July 2nd saw one of the most thrilling fights of the war on Little Round Top. This was Joshua Lawrence Chamberlain of Maine’s most famous victory, which he wrote about in the article “Through Blood and Fire at Gettysburg.” I highly recommend the article for how well Chamberlain immerses one in the action on that fateful day. Also, Chamberlain stands as the greatest hero to serve in the ranks of the Army of the Potomac and is worth learning about the Battle of Little Round Top for that reason alone.